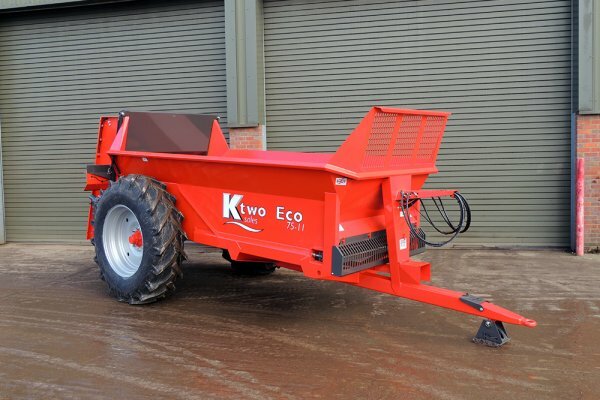 The K Two Eco range of twin vertical beater rear discharge muck spreaders offers a range of smaller capacity models to suit farmers and contractors looking for a lighter duty manure spreader, but still capable of spreading a range of products with good accuracy and outputs. 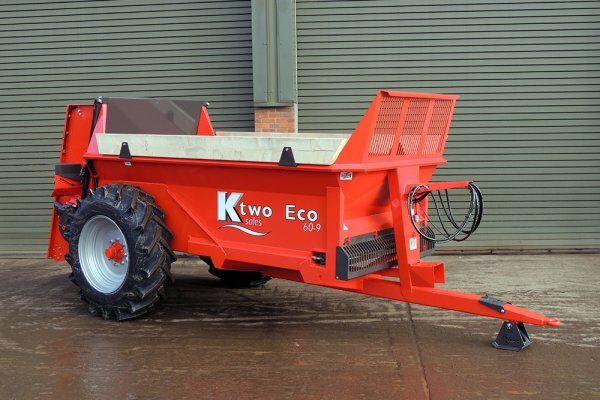 Available in capacities of 5–7.5 tonnes (7.8–10.8 m3) and with a range of optional extras, the Eco can be specified to suit most requirements. Open flighted, dynamically balanced rotors rotate at 417rpm to provide a wide, fine spread pattern. 6-tooth spiral flight construction provides an even spread pattern for most materials. 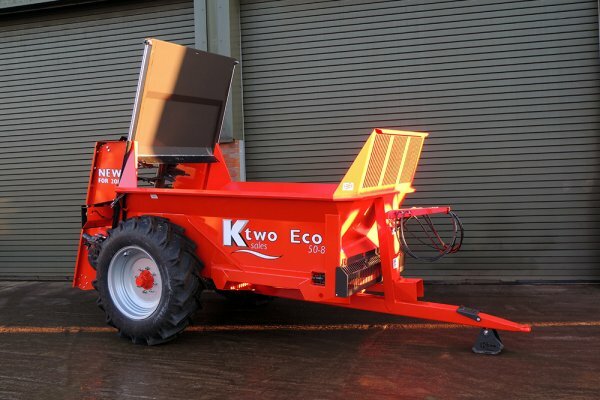 Fitted with a single-piece Rögelberg rotor drive gearbox with greasable long-life bearings used throughout, providing smooth transfer of power and unmatched reliability. 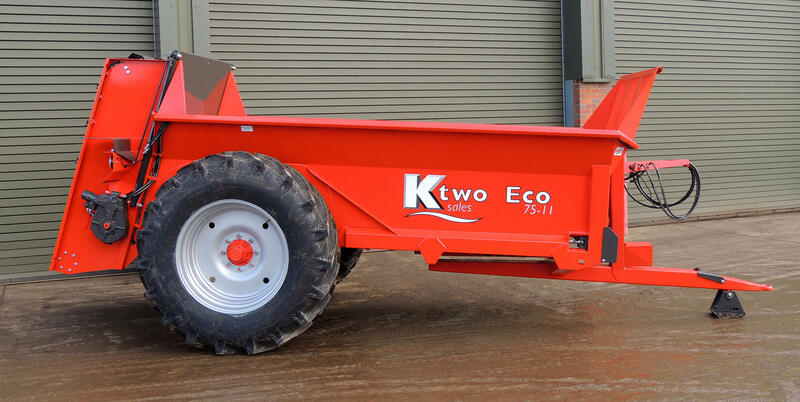 Two 14mm grade 80 marine chains, with a combined breaking strain of 48 tonnes, and socketed floor slats are driven by a 50mm diameter, six-sprocket high tensile floor drive shaft with variable speed control. Full LED road lights provide the best visibility and longest service life possible for added peace of mind. 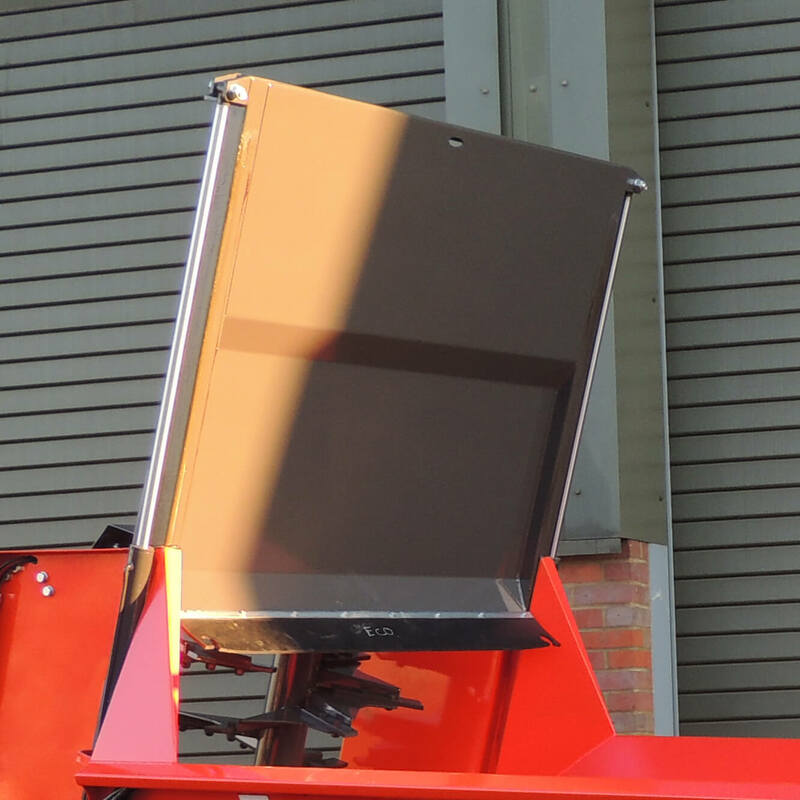 Automatic covers deflect debris keeping them clean and protected while the machine is in operation (only available with optional slurry door). 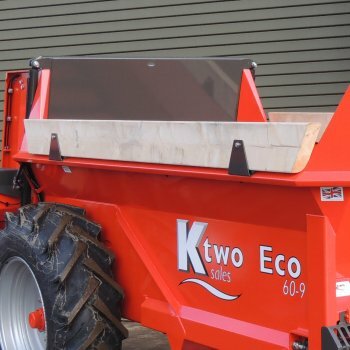 The use of hardened boron steel rotor teeth increases durability allowing use of most types of materials for spreading. They are also reversible to provide exceptional service life.